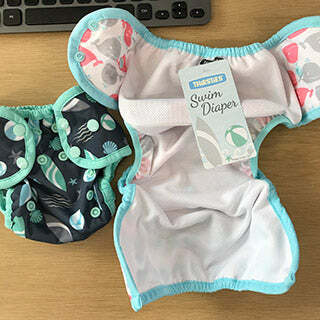 Thirsties Swim Diaper. Made in USA. 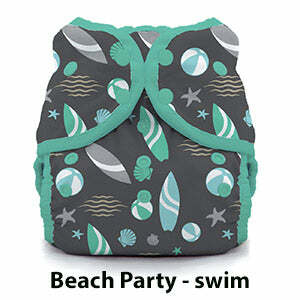 Tortuga and Palm Paradise will be a regularly stocked item in the Swim Diaper, not limited edition. In other items they are limited edition but in swim they will stay. Pairs nicely with Thirsties Wet Bags. I've been in love with the turtle print since it came out last year. It was finally time to size up our swim diaper, so I grabbed it. Honestly, I think it's cuter in the pictures...but I love that Thirsties are so adjustable and it does the trick. My daughter loves this for new grand baby in Panama SA. Baby loves the ocean water! Green Mountain has always given us exactly what we needed for our babies diaper needs. In addition they provide amazing information about their product so you choose the right one and care for it appropriately. All of our prefolds have been excellent quality and I am so glad we decided to try the workman diapers! We will be purchashing more when our son is in the next size as they are easy enough for the sitter and grandparents. Thirsties swim diapers fit so trimly-- can go under a regular bathing suit or are cute enough to go on their own. I wanted the sea turtles-- Tortuga, since it was a limited run, and so glad I snagged it! Sizes run true - don't order up or down. This swim diaper was perfect. My son is 14 months and I ordered the small size because I really did not want a swim diaper that was too big and droopy. Turns out these are true to size and adjusted so that they fit a little tighter than a regular cloth diaper. I ordered the size up and Green Mountain Diaper sent it so quickly that it was here in time for us to take it on vacation. Thanks guys! What a great company. 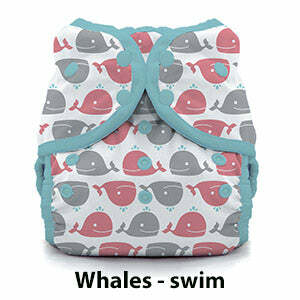 And also a great swim diaper. Snap closure makes for easy on and off. I recommend this over the pull up kind.